It is now Day 9 of DL and NVIDIA’s Two Weeks of Holiday Tegra. There are only two days left, folks. It’s coming down to the wire to be able to snag up a Tegra 2 powered Android device. Today we have a very popular Honeycomb tablet called the Sony Tablet S. Want it? 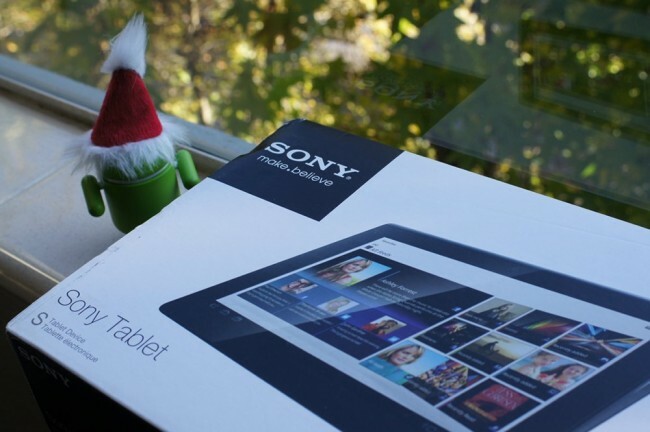 Update: And the winner of the Sony Tablet S is…. 1bad69z28 – I am fortunate to have a job and play Santa Claus this Christmas so I am hoping to score and witness my little girls smiles and giggles when they see their presents!!!! Ahh PRICELESS. Congrats! And a huge thanks to everyone who entered! The Sony Tablet S is powered by NVIDIA’s Tegra 2 dual-core processor with an exceptionally unique teardrop design. The tablet features dual-cameras, and a beautiful 9.4″ display. Definitely an excellent gift for anyone with a good eye for high quality. 1 (one) Sony Tablet S.
1. In the comments, tell us what you are hoping to score this Christmas.